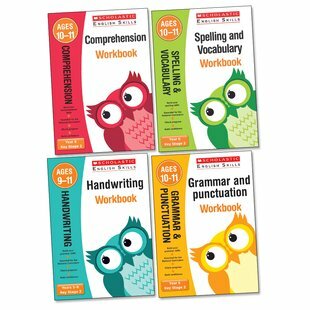 Handy workbooks packed with essential English support. Show you’re a wise owl. Get the basics right. Understanding what you read. Writing clear sentences. Making sure people can read your handwriting. Spelling words correctly. Those things sound obvious, yet many people struggle to get them right. But not you! Our new workbooks help you perfect your English in a fuss-free way. No sweat. No struggles. Quick reading and writing practice in fun activities matched to the new school requirements. Go straight to the top of the class.